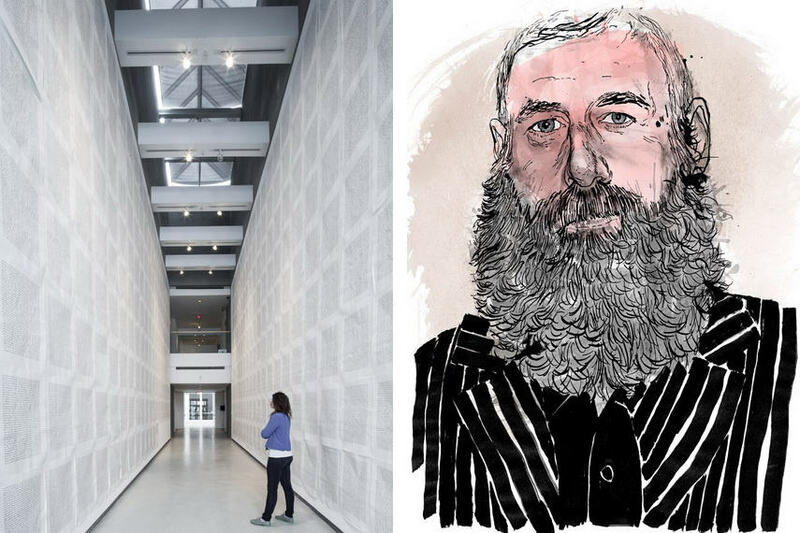 The enticing tie between the language and digital media in the work of Kenneth Goldsmith is a starting point from which all sorts of experiments are being articulated. This influential thinker of a contemporary moment has been switching from one media to another but stayed true to his own politically and socially inclined agenda. Although each project or work of his is conceptual, text-based and essentially related to poetry, Goldsmiths uses any means to establish communication with the wide audience in order to speak about the burgeoning issues, like censorship or plagiarism, which color our society. 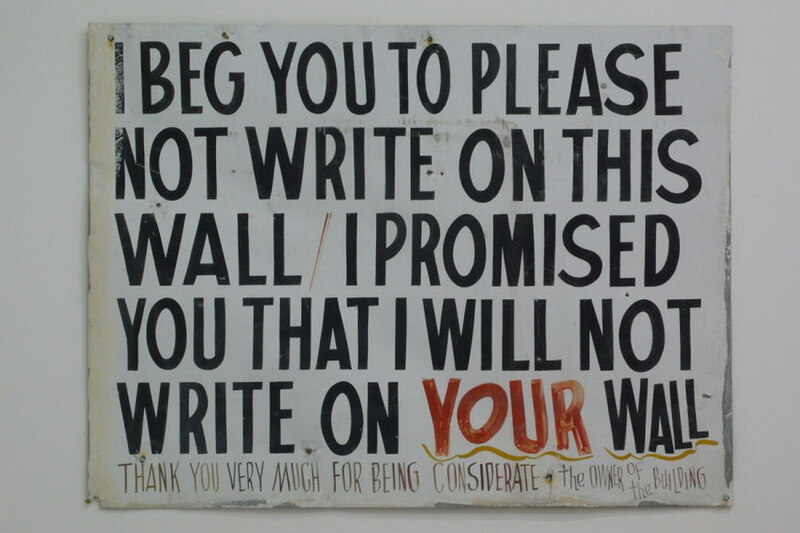 Kenneth Goldsmith was born in 1961 in Freeport, New York. He was basically trained as a sculptor at the Rhode Island School of Design and graduated with a BFA in 1984. Before becoming a prominent poet and writer, Goldsmith worked for many years within the art world as a text-based artist and sculptor. In 1996 he established iconic UbuWeb, a large web-based educational resource for avant-garde material and has hosted a weekly radio show at independent WFMU from 1995 until 2010. In recent years, Goldsmith is working a senior editor of PennSound at the University of Pennsylvania, where he teaches. Goldsmith has published ten books of poetry, Fidget (2000), Soliloquy (2001), Day (2003) and his American trilogy, The Weather (2005), Traffic (2007), and Sports (2008). The book of essays, Uncreative Writing: Managing Language in the Digital Age (2011) is perhaps his most known work. That one can be considered as his manifesto since there he proclaimed that any language can be poetry. The continued activity of exploring the innovative horizons of poetics led him on intersecting all of his experiences in practice of conceptual poetry. That is largely influenced by the avant-garde he was able to absorb while editing UbuWeb. 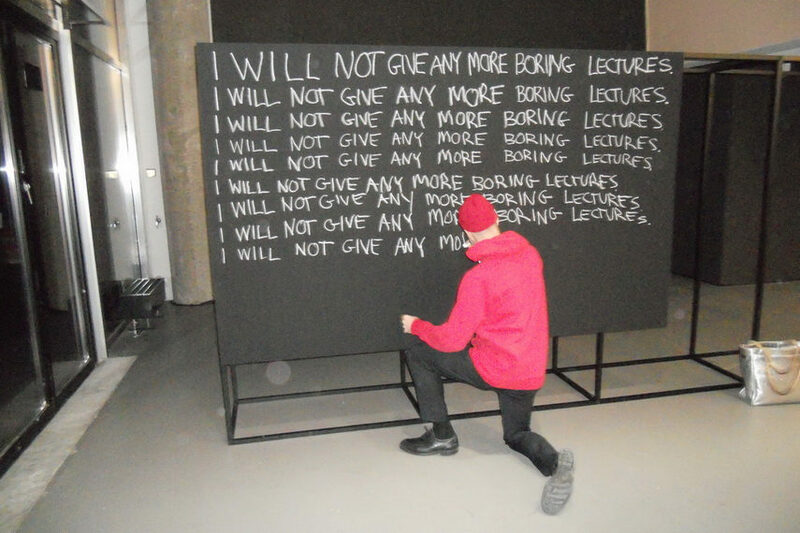 His process can be seen as a hybrid of artistic and curatorial practice. It involves selecting, composing and presenting the rhymes. For example, Kenneth Goldsmith has produced 600 pages of rhyming phrases ending with the sound r, sorted by syllables and alphabetized (No. 111 2.7.93-10.20.96, 1997), everything he said for a week (Soliloquy, 2001), every move his body made during a thirteen-hour period (Fidget, 2000), etc. The performative element is apparent since the artist embraces the role of the writer as process and plagiarism — as content. 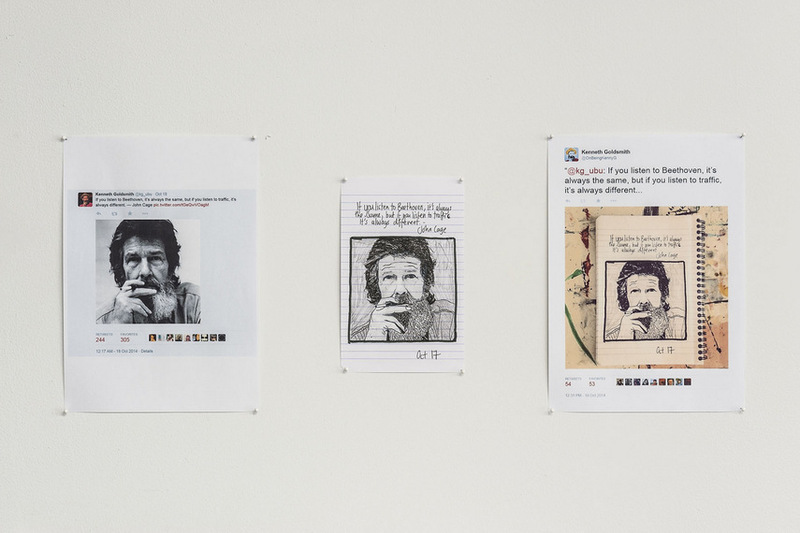 In 2013, Kenneth Goldsmith curated an art project titled Printing out the Internet in collaboration with LABOR and UbuWeb. 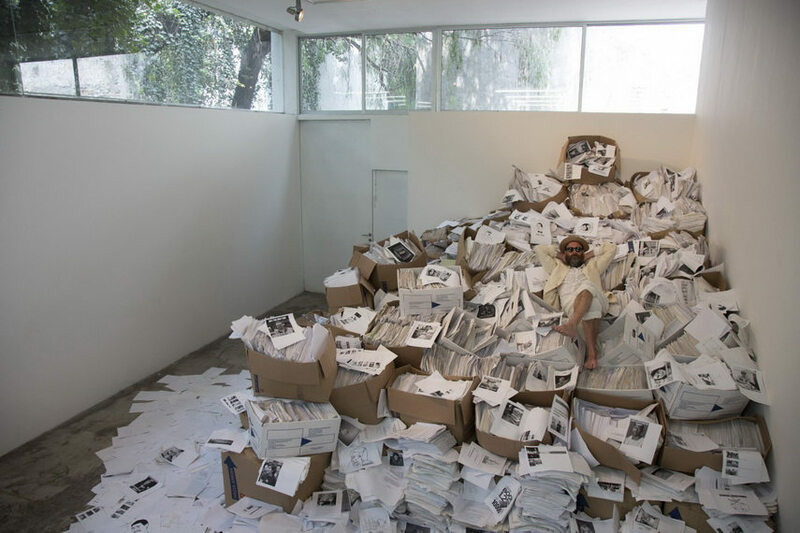 It was thought as a participative action and the audience was summoned to print and send pages from the Internet to an art gallery in Mexico City, with the intention to literally print out the entire Internet. Actually, the exhibition was dedicated to Aaron Swartz, an Internet activist who committed suicide while facing federal charges of illegally downloading and disseminating millions of files from the digital library JSTOR. As the exhibition was moving to its end, 10 tons of paper from more than 20,000 contributors was gathered. Apparently, the avant-garde sensibility of Goldsmith and his affiliation to any form of such a production is no surprising. Therefore, from the early -90’s he collaborated with several musicians and composers such as avant-garde vocalist Joan La Barbara and Vicki Bennett. In 2006, he performed in the TRANS-WARHOL, Chamber Opera, a libretto based on his book I’ll Be Your Mirror; The Andy Warhol Interviews. Goldsmith has published a number of writings about experimental music and curated many musical events and compact discs. 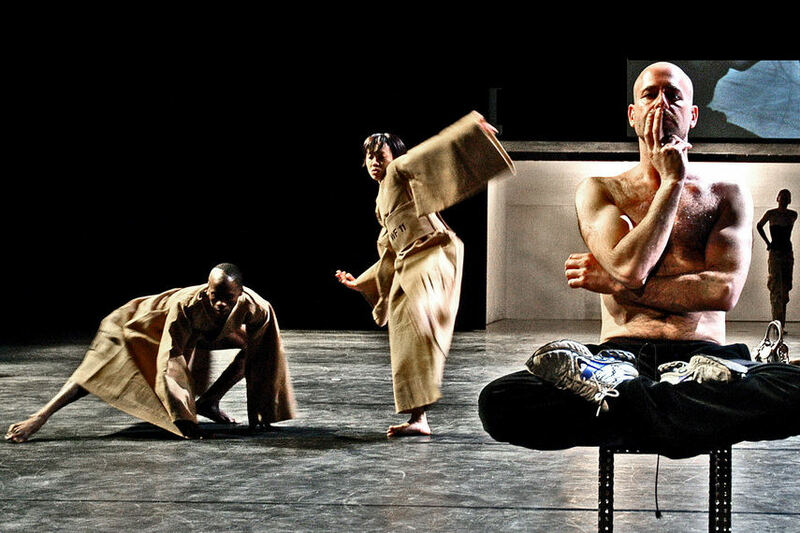 Besides all of his achievements in sound art, poetry, and curating, Goldsmith is a notable lecturer and is teaches at the University of Pennsylvania’s English Department. Additionally, he has run a graduate seminar at the School of the Art Institute of Chicago entitled Publishing as Project, as well as a course of uncreative writing at Princeton University during 2010. In 2013, he was appointed the Museum of Modern Art’s first poet laureate. The contribution of Goldsmith to avant-garde based concept has been a thematized in the documentary film of Sucking on Words, released by filmmaker Simon Morris. 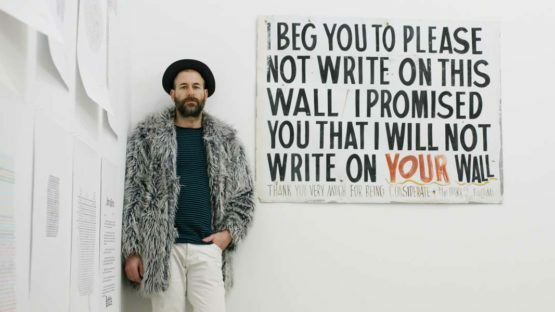 The great value of the practice of Kenneth Goldsmith cannot be just seen in the fields of visual arts or poetry since all of his activity is a reflection of society and therefore it should be perceived in regards to culture as a social agency in which each individual should participate and work for better society. Kenneth Goldsmith lives and works in New York.